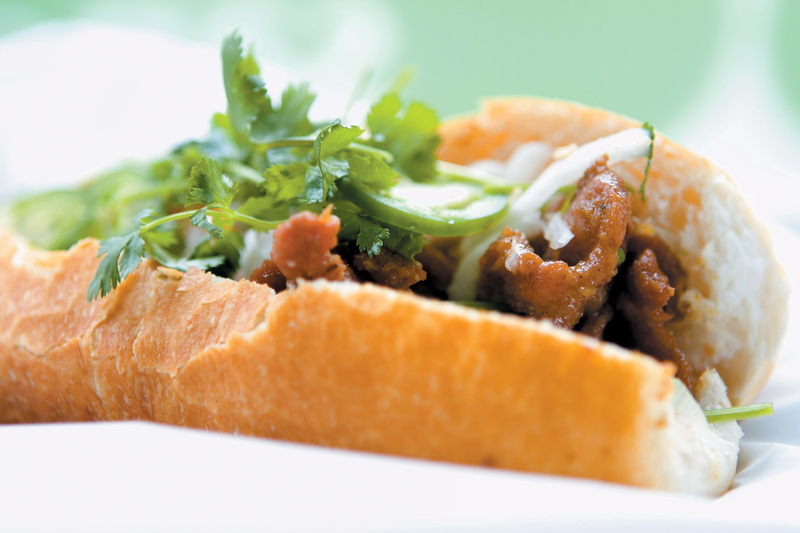 One of Vietnam’s finest culinary exports is the banh mi, an infinitely-versatile sandwich typically comprising a crackly rice flour baguette (an adaptation of the wheat flour loaves introduced to the country by its one-time colonizer, France) stuffed with proteins fragrant (like lemongrass beef) or funky (pork pâté), and topped with condiments like piquant pickled carrots and daikon, cucumber, cilantro, jalapeno, and cooling mayo. 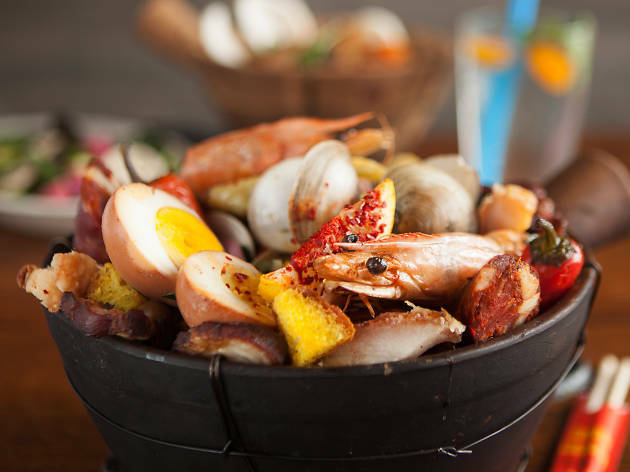 Flavor packed, quick, and usually extremely cheap, they’re an excellent alternative to bland mega-chain lunch fare, and luckily, Chicago abounds with spots where you can get your fix. 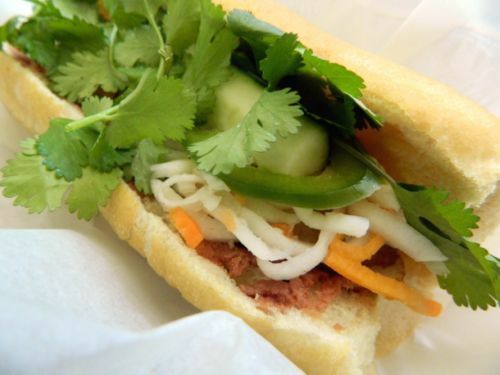 We’ve rounded up our favorite banh mi stops, from a bustling bakery that delights vegetarians and dedicated carnivores alike to a truck that turns out quirky takes on the iconic Vietnamese treat. 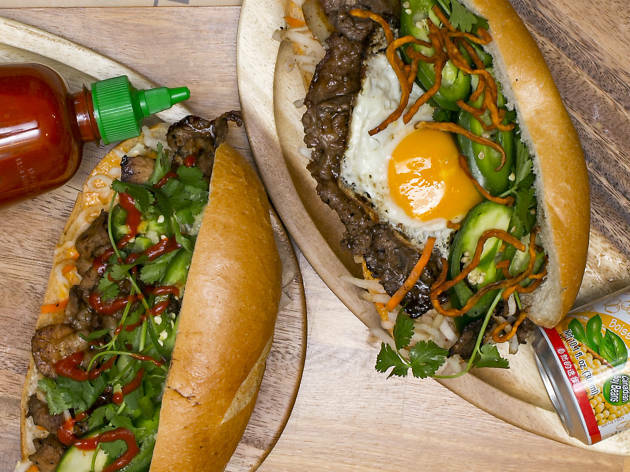 Freshly-baked baguettes are the fabulously flaky foundation for the 20—count ’em, 20—banh mi varieties on offer at this petite Lincoln Square institution. 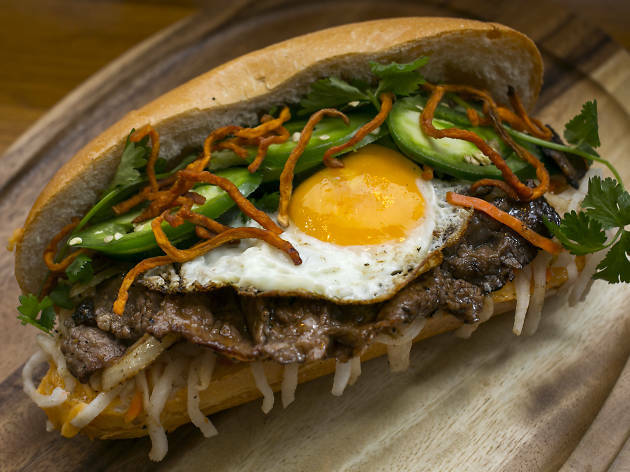 Anchored by the quintet of porcine fillings—ham, headcheese, pork roll, and cool, creamy pâté—found in the most classic banh mi, the rich Nhu Lan Special will please traditionalists. 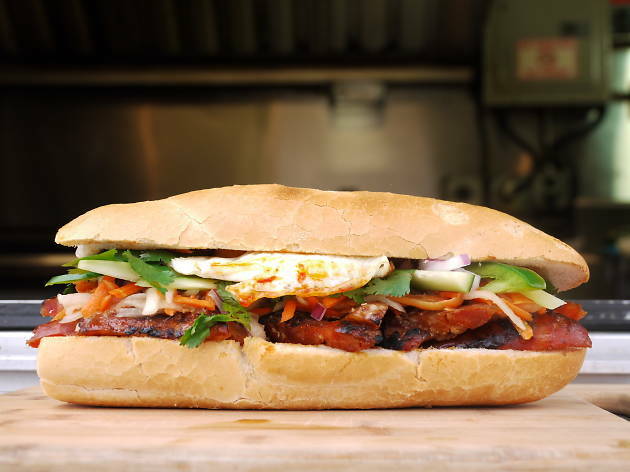 Vegetarians rhapsodize about the aromatic lemongrass tofu, a sandwich that’s far from dainty rabbit food; in texture, taste, and appearance, in fact, the headline filling comes uncannily close to beef. 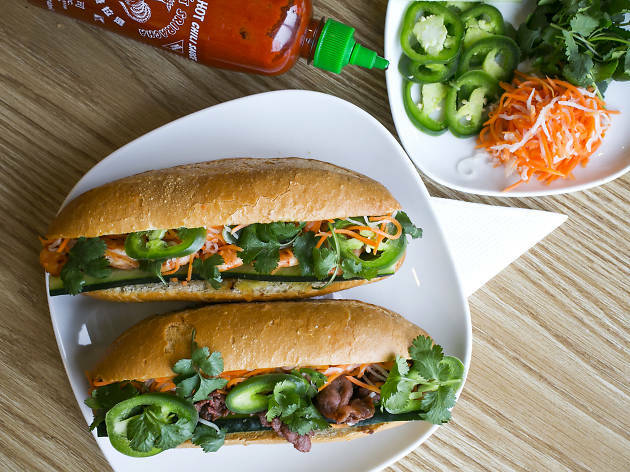 Quality ingredients and a dash of creativity distinguish the roster of banh mi at this quick and cute University Village spot, owned by two UIC alums. 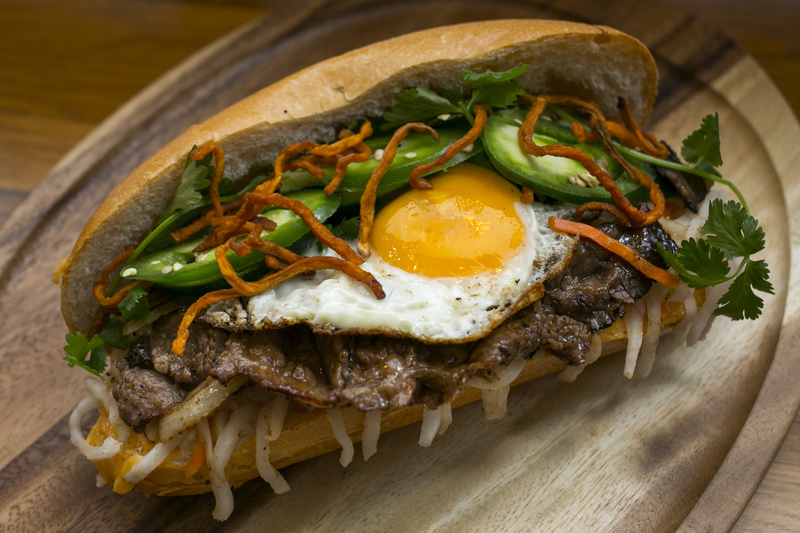 While there isn’t a dud in the lineup, we’re especially partial to the Honey Grilled Pork, whose sweet earthiness is tempered by fresh pops of lemongrass, and the Sunny-Side Beef, featuring thin-sliced sautéed ribeye and crisp little threads of fried sweet potato topped off with a perfectly lacy fried egg. Though its sleek interior (the result of a 2010 expansion) screams 21st century, this bakery has been an Uptown fixture since the late ‘80s. The secret to its longevity? 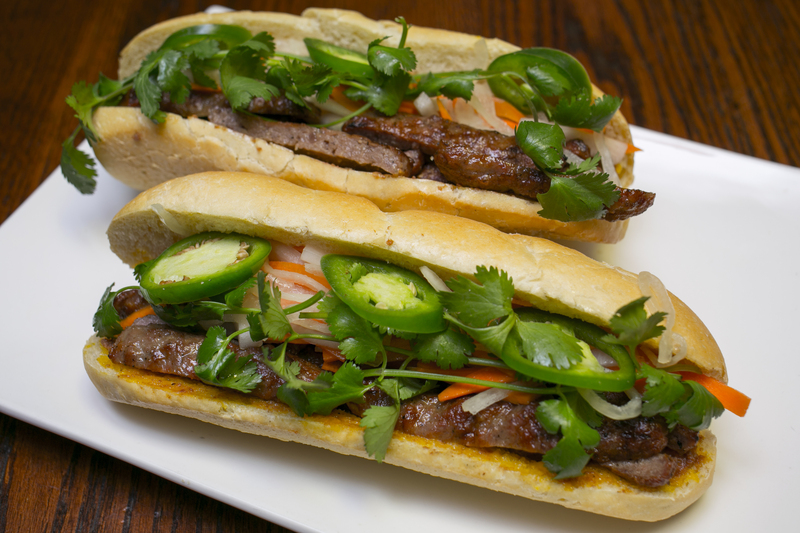 Some of the most solid banh mi in town. Offerings include an impressive 12 meat-filled varieties, plus a handful of vegetarian and vegan offerings. It’s hard to go wrong with the classic Special, a fatty, funky assemblage of pâté, pork roll, ham, and head cheese. Unenthusiastic about offal? 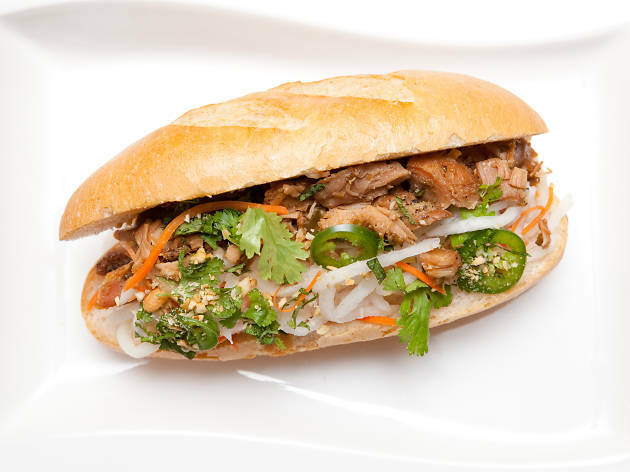 Try the BBQ pork, a straightforward but satisfying sandwich stuffed with grilled pork brightened with citrusy fish sauce. 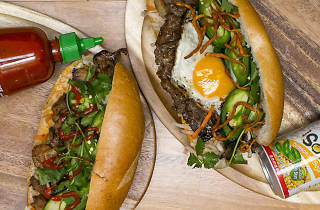 With locations on Lake Street, at the French Market, and in Northwestern Memorial Hospital, this modern Viet eatery has Loopers covered for all their banh mi cravings. Of the 10 vaguely chef-y varieties on offer, we can’t get enough of the Hen House, in which chunks of dark meat chicken and chopped peanuts mingle with mint, bright lime, and supremely creamy mayo, as well as the five-spice scented Porky, built around tender pork belly in sticky-sweet hoisin sauce. 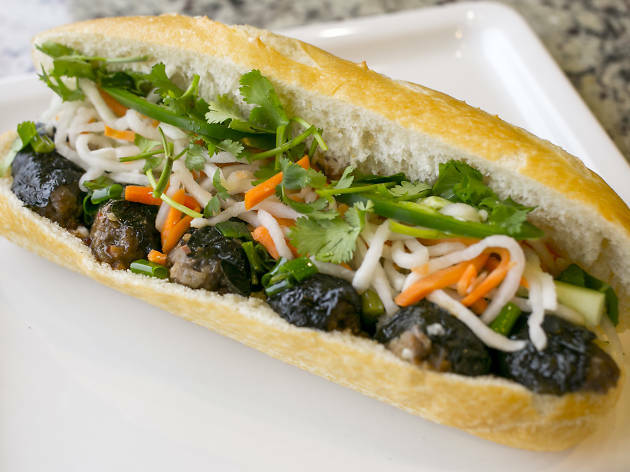 This relative newcomer on the city’s banh mi scene has already won a loyal fan base for its pale golden baguettes, which are baked daily and boast a texture more tender than the standard specimen. Fillings, too, are prepared in house, adding an extra dimension of freshness to the sandwiches here. 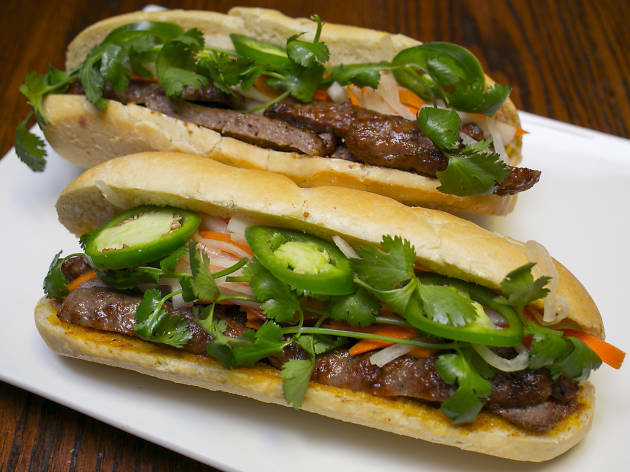 For a taste of traditional Vietnamese flavors, try the peppery, subtly sweet betel leaf beef banh mi, featuring seasoned ground beef wrapped, dolmades-like, in an aromatic leaf and grilled. We love the tangy, finely-shaved pickles that crown the banh mi at this modern Ravenswood spot, not to mention the schmear of pâté that lends most of its meat-centric offerings a rich boost. 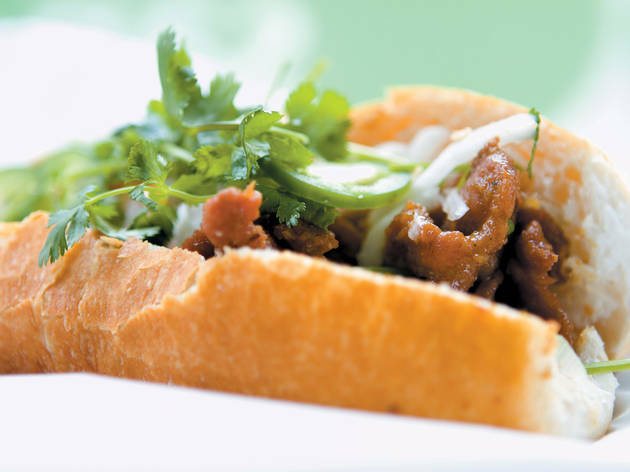 The sautéed shrimp sandwich is a winner for its mix of plump, sweet shrimp and umami-packed soy onions, while the thinly sliced, faintly smoky meat, velvety mayo, and lip-tingling jalapeno in the grilled pork version strike a great flavor balance. This cheerful orange truck scores points with the lunchtime crowd on the University of Chicago campus (and occasionally elsewhere; check Twitter for the day’s location) for sandwiches that fuse the elements of a traditional banh mi, like flaky bread, fiery jalapenos, and crisp pickles, with a selection of pan-Asian fillings. 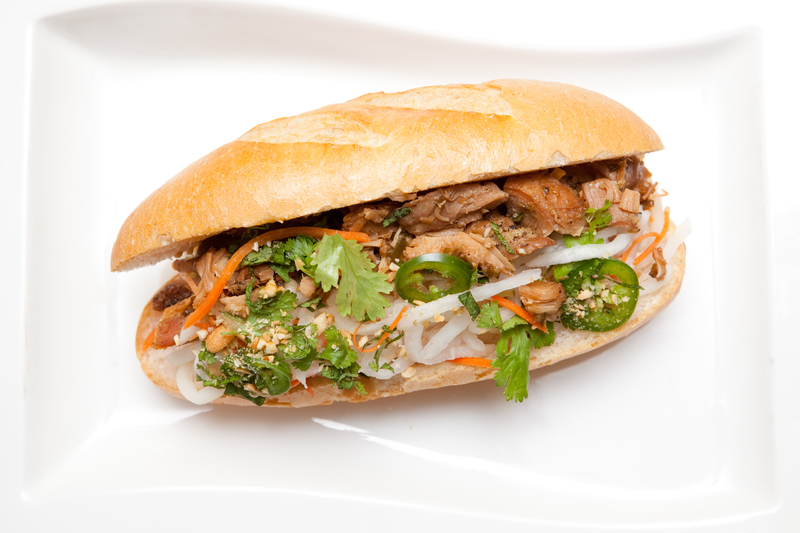 We like the Sloppy Thai (the name fits—mind your shirt front! 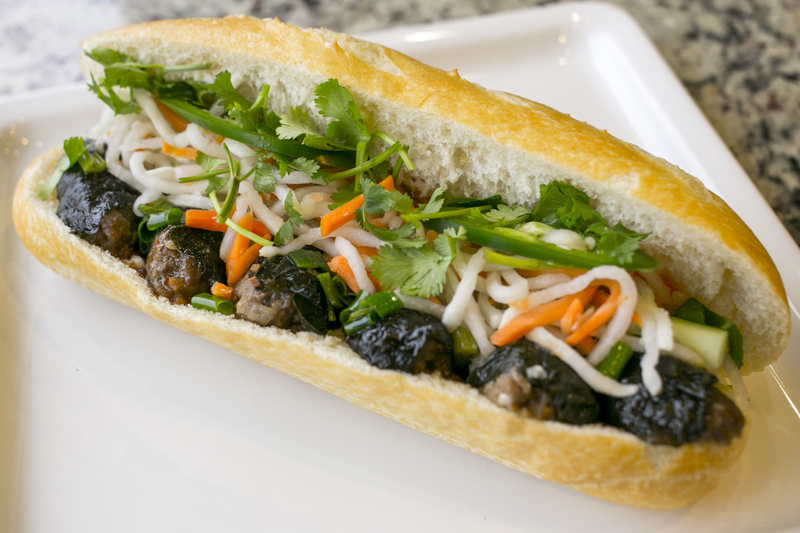 ), featuring super-fragrant basil chicken tossed with diced bell peppers, and the Banh Mi Long Time, packed with sweet, garlicky longanisa, a chorizo-esque Filipino sausage. 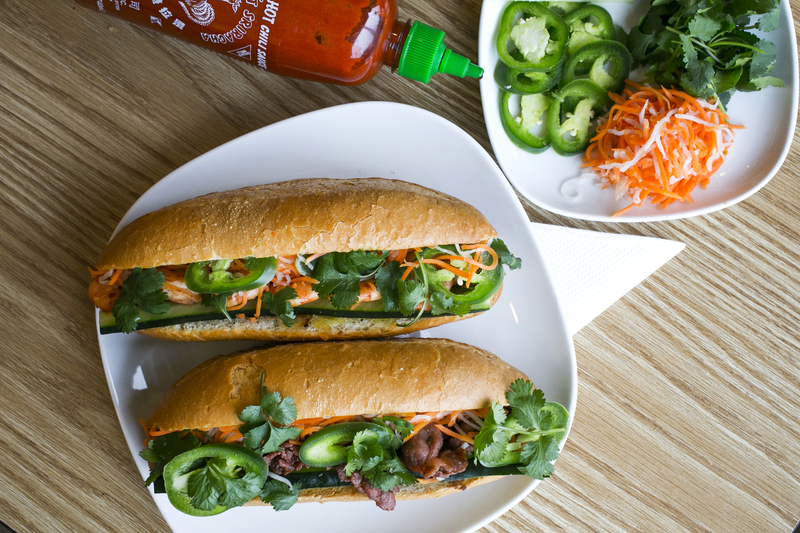 For one of Chicago’s most unusual takes on banh mi, head to this unassuming table-service spot in West Rogers Park. In addition to a handful of standard offerings, the sandwich menu here features a decidedly unorthodox option filled with the fun-to-say ćevapčići, a skinless grilled sausage indigenous to the Balkans. 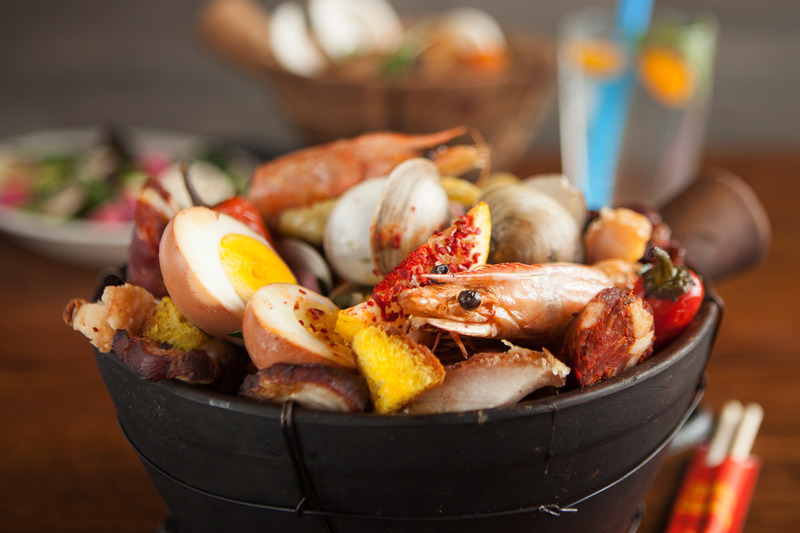 It’s an unexpected cultural mashup inspired by the co-owners’ respective provenances: one hails from Vietnam, the other from Croatia. Once you get past the cognitive dissonance, you’ll find the mild, juicy sausage harmonizes beautifully with the cafe’s still-warm baguettes, buttery house mayo, and assertive pickles.